Our triple room is ideal for couples with one child. 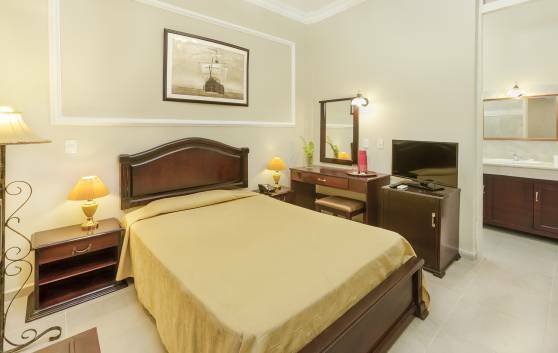 Its spaciousness allows guests to enjoy other facilities to the full in a comfortable bedroom with private bathroom. The spacious double rooms with views of the hotel's inner courtyard have a wonderfully calm feel throughout the day. With bedroom, double bed and private bathroom, covering a total area of 17.54 m2. 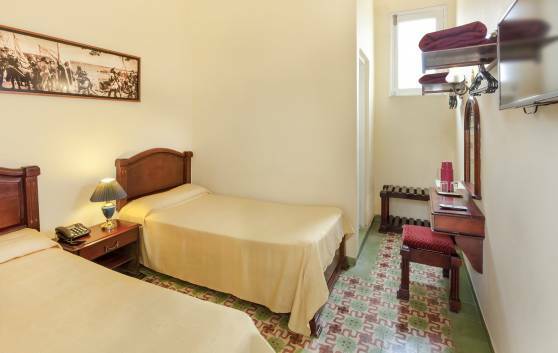 These rooms enable guests to enjoy all the comforts and style of the hotel. Some boast views of the city from a small balcony or of the charming inner gallery with its beautiful stained-glass windows. All with bedroom, twin beds and private bathroom, covering a total area of 19 m2. 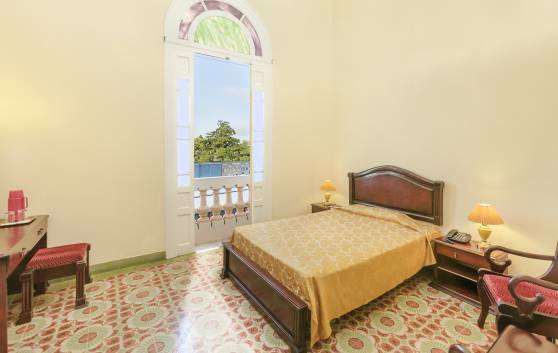 Our Superior Rooms with Balcony boast beautiful views of the popular calle República in the historic centre of Camagüey. With bedroom, double bed and private bathroom, covering a total area of 25 m2.